Chau Thi Thu (C) and the family of her second child Pham Xuan Huong. Chau Thi Thu of Ha Long City in Quang Ninh province has turned 100 this year. Her family has had four generations living together for years. All eight of her children are now around 70 years old. Thu lives with her second child, Phạm Xuân Hưởng, his wife, and two grandchildren. Despite wide differences in age, lifestyle, and ways of thinking, each family member knows the importance of preserving a tradition in which children respect their parents and grandparents. Though her eyesight has dimmed and her legs have slowed, Thu still enjoys watching TV and listening to the radio. She says it keeps her up to date with the news of a rapidly changing Vietnam, and helps her understand young people like her great-grandchildren. 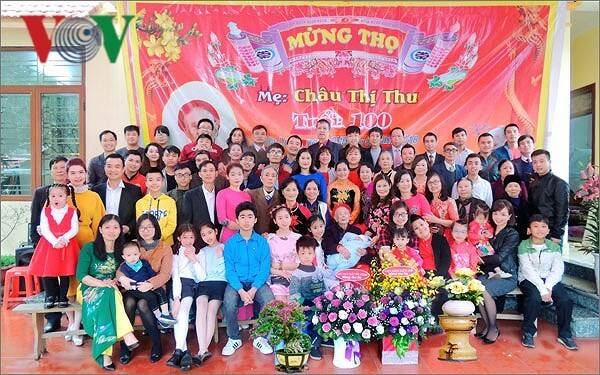 Elder Thu and her children and grandchildren pose a photo on her 100th birthday anniversary in the spring of 2018. 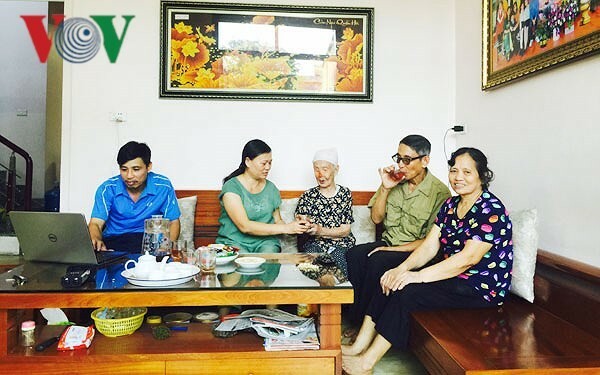 Hoang Thi Quang, Huong’s wife and the eldest daughter-in-law in the family, says that relations between her and her mother-in-law have been pretty good for more than half a century, although, of course, they still have disagreements sometimes. 23/04/2019 Vì sao doanh nghiệp Malaysia e dè đầu tư vào Việt Nam?